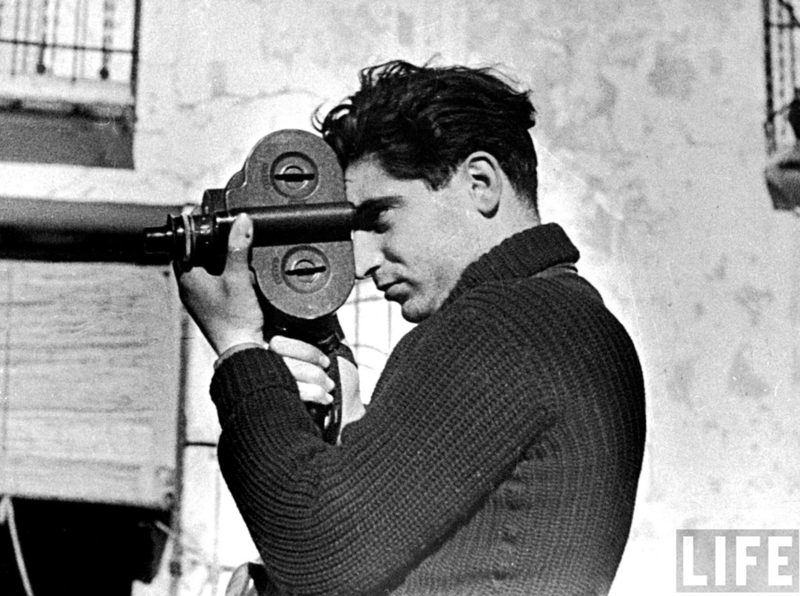 This story on Robert Capa's life is unique in that it was filmed when many who knew him were still alive. From friends to fellow photographers, this film managed to show Capa in the way those around him knew him. Today, such a film could never be made. All we are left with are his images, a short role in a movie and his legend. What impressed me what how he managed to manufacture that legend, almost forcing himself to become a new person, one capable of living the life he wanted. I saw the video on YouTube and it is not a wonderful recording. I found a better one in Spanish and ended up watching that one. It is well filmed, and follows his life with a clear and simple chronology. It touches on his life, work and love interests. The movie is clear but somber at times. Clearly no room for comedy given his image subject matter and his well known fate. Friedmann Endre Erno was born in Hungry in 1913 and he changed our view of the world, yet most of us do not know him by that name. During a time when he was struggling as a photojournalist, he and his girl at the time Greda Taro, created his alter ego Robert Capa. Friedmann knew the man he wanted to be but also knew that he would never become that man unless he changed. He adopted the name Robert Capa and created a legend about himself and lived the rest of his life trying to become that. He succeeded, and in so doing was able to capture some of the most heart wrenching images of the Spanish Civil War and World War Two. I can close my eyes and see the images of the Normandy Invasion, the blurred images, the soldiers faces of fear and the horrific artillery shells hitting the beach, throwing sand through the air. 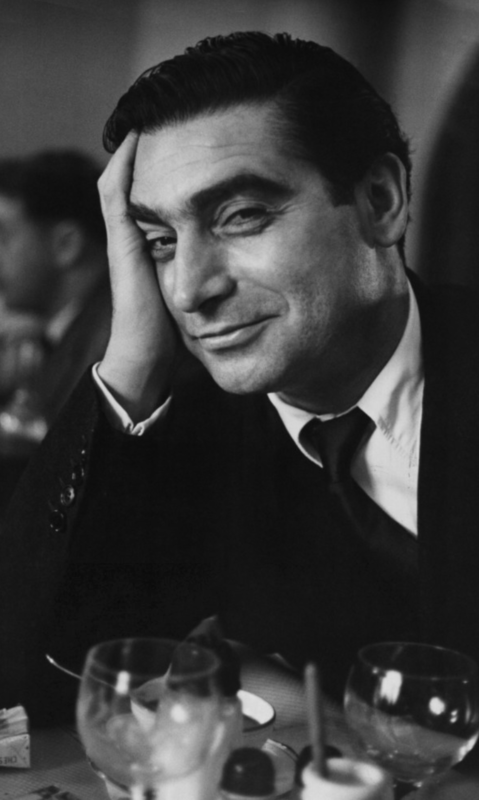 Robert Capa captured those images, and after their publication in Life magazine, they became the D-Day we all remember. Would he have taken such risks as Friedmann? No, Friedmann was a son, a brother and the future of his family. Friedmann would not put himself in the line of fire if he did not have to. But Robert Capa, he lived hard, played hard and lived his life in danger. Friedmann was a family man, Capa never even had a home. 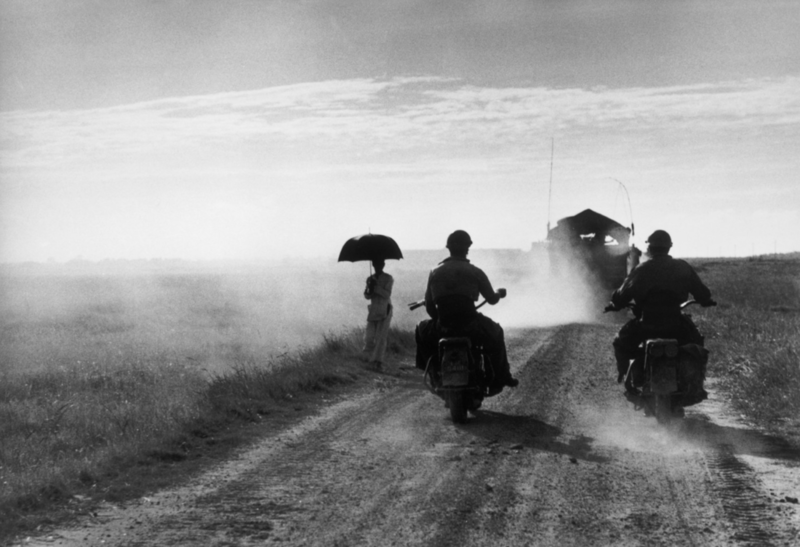 Capa lived out of hotel rooms or girlfriend's apartments, Capa loved hard but then left to follow the next adventure. Capa had the chance of becoming immortal while Friedmann would have lived a long life and would have been forgotten. The film touches a bit on his love life, which was something I was not aware of. I knew that he had a very special relationship with Taro but was unaware of his other relationships. 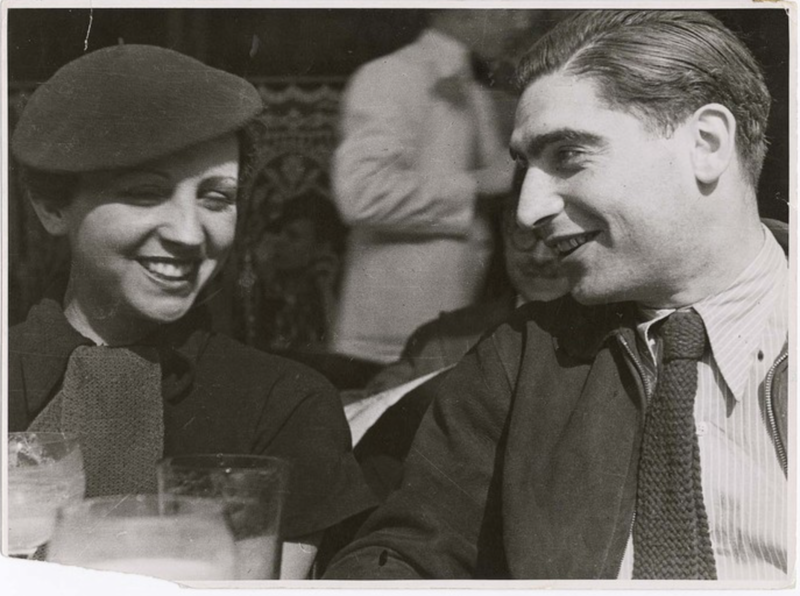 As it turns out, a European accent, coupled with the adventure aurora that Capa cloaked himself with, is found attractive to women. Go figure. Throughout his love life after Taro, you see Capa much more careful about falling too deeply. It seems he did not allow the women to commit to him just as he did not commit to them. It is interesting to dive into this portion of his life, but the film is careful not to overdue it. While it had a glancing impact on his photography it did not dictate what he did. The film does a great job of introducing us to the man behind the camera, but it does not spend a great deal of time on his photography. The goal is to understand the man, the time he lived in and how he chose to live it. The purpose of directing war photography does not make practice sense, as the photographer rarely has the time or presence of mind to worry about lighting, composition or framing. Robert Capa had a gift to find these even in the most horrific of places. As the film approached Capa's final conflict photography assignment, Vietnam, you can sense the impending fate as they take you through his final days. It is a wonderful film, which needed to be made, and could only have been made then. But it is ours to enjoy now.